Since I moved to Japan earlier this year I have learned a lot more about the Japanese football market. Before my move, I knew some of the boots big brands made specifically for the Japanese market. But since then I have found out about a lot more boots that are only available in Japan. The reason for this is that the Japanese market is extremely competitive and every brand pushes for the consumers attention. Japanese brands such as Mizuno and Asics dominate the market, leaving other brands to try and gain a decent foothold. Of these other brands, Adidas and Puma are successful and though Nike’s penetration in the market isn’t as deep as other places, as per usual they have a share of the market. Umbro and Hummel have both built a decent space for themselves here as well, though Hummel seems to be concentrating more on futsal these days. New Balance and Under Armour are trying to become more successful but without much luck so far. Diadora also has a presence here, but their boots are not different from the international releases. Kappa and Lotto also used to sell here but they both dropped out of the footwear market, though Kappa still is the kit supplier for several teams. There are other Japanese brands contesting for space in the market as well, namely Adler (who I have written on before), as well as Athleta and Svolme. It is because of this I figured I would highlight some boots from each of these brands! 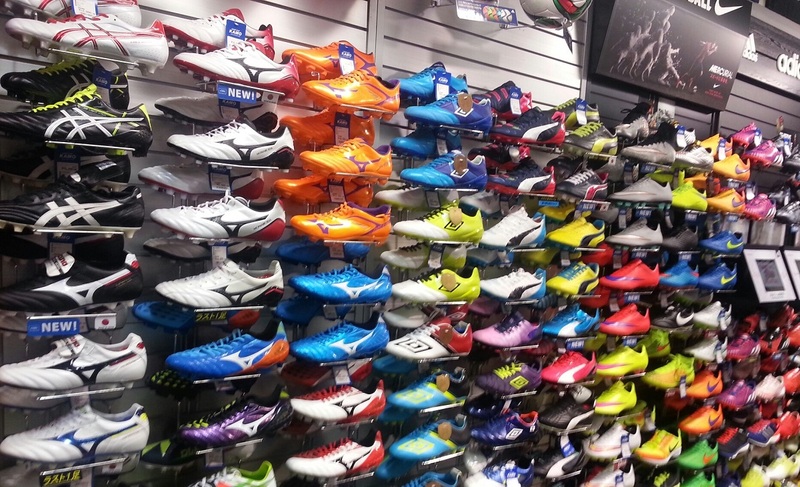 Mizuno are well known for their high quality made in Japan boots all over the world. They are also very dominant in their home market, with a market spread here similar to what Nike has in the US. The brand’s Runbird logo can be seen on pitches everywhere in Japan. We have featured these boots here recently, so there’s no need to recap tech specs. But what is interesting is the difference price between Japan and everywhere else. The Rebula retails for a cheaper price in Japan. Of course, the main reason for this because they don’t need to be exported. The Morelia IIs are also priced less here, for example. People here were shocked at how expensive they were priced, given that Mizuno normally doesn’t go above the $200 price point for boots in Japan. Despite the higher price, the Rebulas still sold out almost everywhere immediately. Both boots are available in Japan as budget MiJ options. They are popular here because they offer Made in Japan quality for a more reasonable price, as both boots retail around $100 cheaper than the international price. 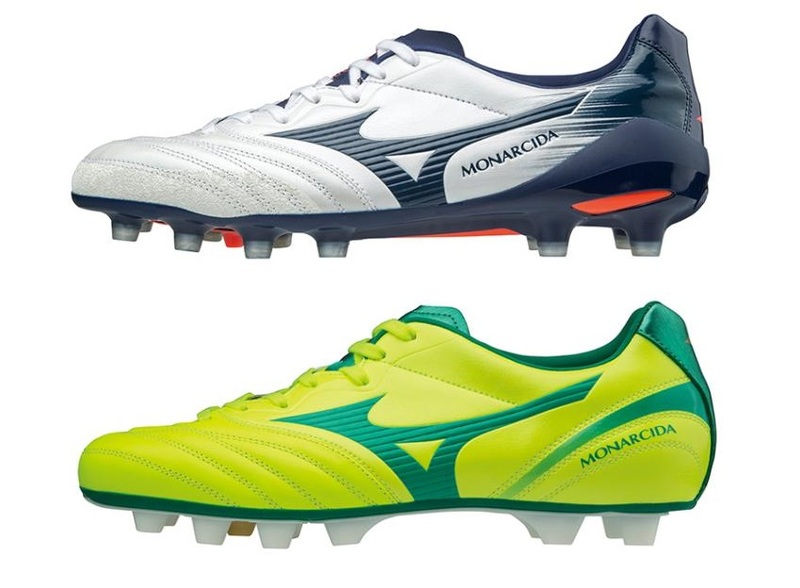 The Monrcida 2 Neo is based on the Morelia Neo 2 and has the non-slip insole that was found in the Basara, whilst the Monarcida 2 Japan is based on the Morelia II. These two boots both have a kangaroo leather forefoot with the rest of the boots being made of synthetic leather. Asics actually left the US soccer market January of 2016, but in spite of that some people are aware of the two more popular boots they sold in the US, the DS Light and the DS Light X Fly, though the DS Light X Fly available here is made in Japan. This boot features a seemless synthetic leather forefoot with a slight texturing added to the upper for grip on the ball. 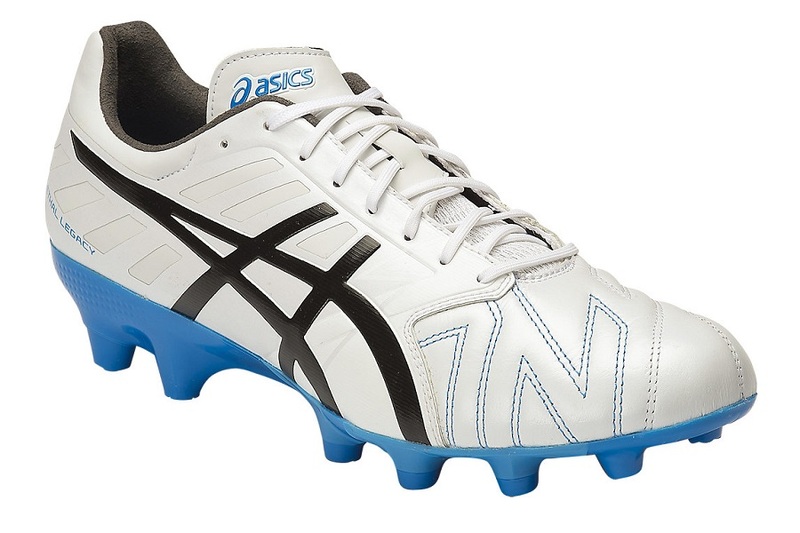 It also features Asics’ 10mm HG plate but the studs themselves are actually shorter than previous Asics boots that have featured the heel lift, such as the Testimonials. Interestingly, the previous models of the Menace also came in a k leather model with a slightly off-centered lacing. The newest model has the lacing moved more towards the center. The studs are rounded but have a slight shape on the bottom to achieve more grip. These boots come with a k leather forefoot and a synthetic rear. The instep is slightly rubberized for grip with a bit of padding added for ball control. This boot also includes the 10mm HG system and more studs which makes it closer to a hard ground soleplate (more on those soon). Intriguingly, under the ball of the boot the soleplate has three small studs to provide more grip. The boot also features suede on the inside of the heel. Adidas has a decent sized hold in the market here. Not only do they make the national team jerseys but they also a fairly popular when it comes to boots. 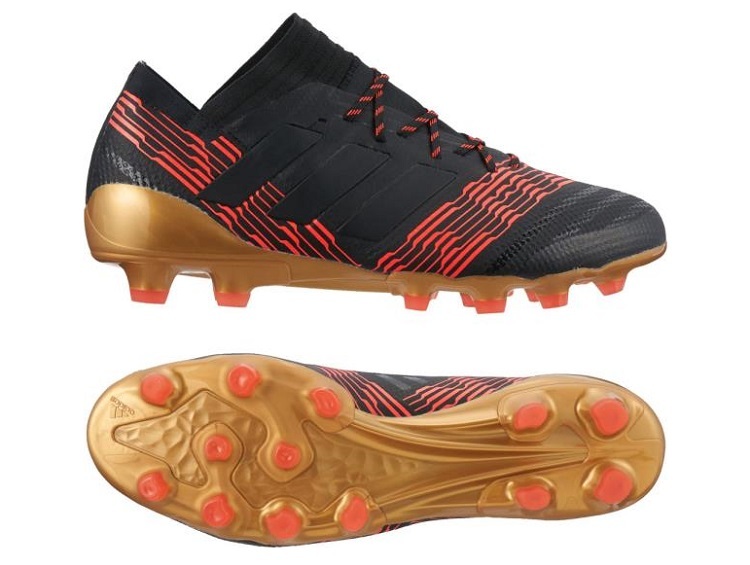 Almost all of Adidas’ boots (aside from the PureSpeed, PureControl and the Nemiziz 17+) are offered in a unique hard ground soleplate. These plates are specifically developed for the Japanese market. So, while FG plates are also offered here, most stores focus mostly on the HG plates. This boot is mostly the same as the boots offered internationally (like other Adidas boots sold in Japan) except for a few things. Firstly, the HG soleplate and secondly the addition of an extra piece of synthetic on the front of the toe box to provide more durability. This one is quite interesting because the Gloro 16.1 is also sold in Japan. 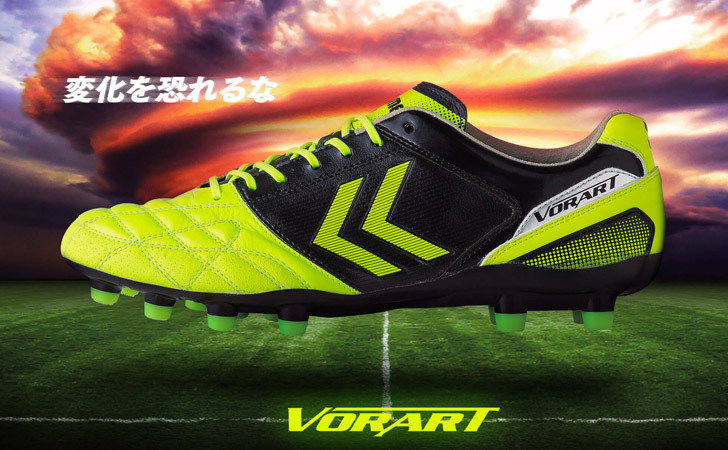 The Pathiqe Gloro is advertised as boot made specifically for Japanese players. It has a stitched leather forefoot as well as a soleplate that still has the space for the MiCoach! The Pathiqe line has been around for a very long time with the first model appearing the early 2002. Of all of the international brands, Puma has probably catered the most to the Japanese market by not only offering Japan-only boots, such as the recently discontinued ParaMexico, but also by re-creating several models specifically for Japan. This is on top of offering all their models that can be found overseas in HG plates as well. This recently released boot only slightly resembles the regular model of the One. It has an HG variation of the soleplate. Most of the boot is covered in a high-quality k leather upper and has suede inner lining. 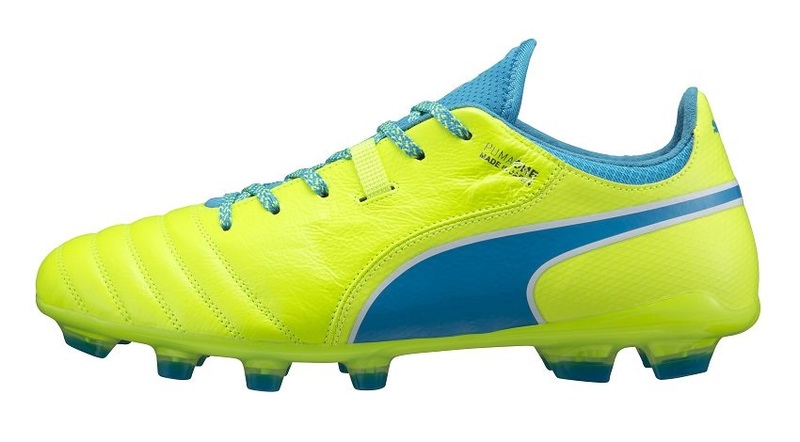 The tongue is made from a mesh material and the boot itself is built on a wide “J last” as Puma Japan calls it. This boot is also made in Japan! There are also takedown models as well, the J2 and the J3. This boot also comes with a k leather upper and again it does not have the same collar as the international release. Instead it has a thicker, tall heel counter. This insole included is also thinker and the boot has an HG soleplate (noticing a theme? ), as well as a wide last. It appears that these will actually outlast the lifespan of the international release of the EvoTouch given that new colours were just released. These are also currently worn by King Kazu (Kazuyoshi Muira) who is still playing pro at the aged of 50! A brand that dominates the US market and has a large share of Europe’s, Nike doesn’t have quite the same market share in Japan as it does in those markets. Even so, Nike still remains popular here. Nike’s knits models are not offered in the HG soleplate but every other Nike model is. Though the rest of the boot is pretty much the same as the Vapor that is available elsewhere I wanted to point out this boot in particular because of the soleplate that is used. It is an HG soleplate that has been used on the past few models of the Mercurial Vapor that was sold here. It is also reminiscent of Nike’s old Versatract soleplate, which was a particular favourite of mine. Now I am going to cheat a little bit here because the Super Ligera series is no longer available (though there is a take-down of the current Legend called the Tiempo Ligera) and this boot has been featured elsewhere before but the Super Ligera is in my opinion the best boot series Nike ever made. Even after it was discontinued elsewhere, the Super Ligera series had two more models released in Japan. Interestingly the HG soleplate that was used on the Super Ligera 3 is now used on the Tiempo Legend HGs that are sold here. Japan rarely sees the same release as the rest of the world when it comes to Umbro. The Medusae II Elites did see a release here but almost none of the Japanese athletes sponsored by Umbro wear those boots. Instead Umbro Japan has its own silos of football boots that are not found elsewhere and even the kit designs for professional clubs are completely different. I know what you are thinking. “Shouldn’t it say Accelerator Pro?” Well it does, and it doesn’t. This is because of the Japanese language the L/R sounds gets combined. So while the boots themselves say Accerator on them, they are known as the Accelerator Pro. This silo has been around for over 15 years here. The newest model has a K-leather forefoot with “U Grip coating” added to portions of the leather for control. The also have Umbro’s A-frame that has been found on other boots in the past as well as a suede heel-liner. What is interesting is that these boots have several different configurations. They are available with a round-stud sole plate or a bladed soleplate. There is an “Elite” version of this shoe that is made of an artificial leather. There is even a spin off model available called the Gale. Even the takedown models have K leather. 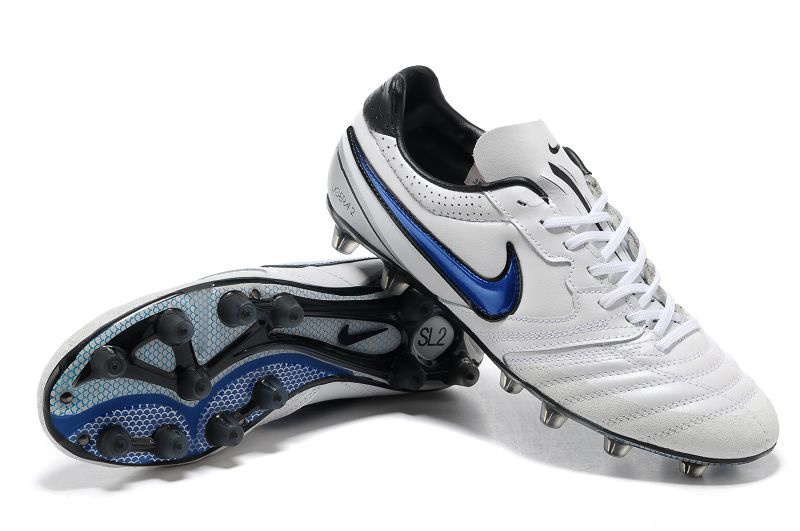 These are most famously worn by Yasuhito Endo (Gamba Osaka) and Gaku Shibasaki (Getafe FC). 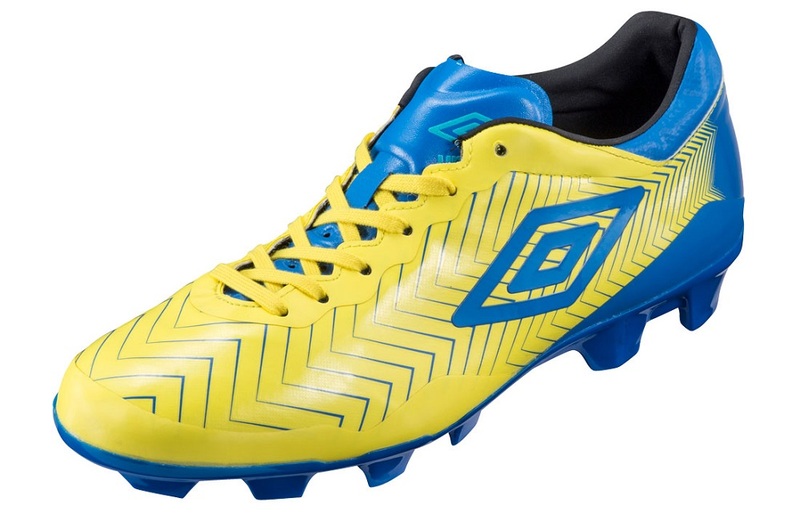 This is a synthetic speed boot that was recently released by Umbro here. Its upper is made up of an artificial leather and a zig-zag grip control surface added to the upper. The upper is also mostly seamless and even though the boot is listed as being suitable for HG/AG surfaces it has fairly large bladed studs on the bottom of the boot. It is built on a wider last as well, which is rare for a speed boot. What is interesting about this boot is that instead of having a soleplate made from TPU, as is found on most boots produced, it is made from a material called Septon Resin which was created by a company Kuraray (who produced the upper on the Mizuno Wave Ghost 3s). Presumably, this is a softer material that causes less pressure on the bottom of the feet. In a previous article, I had mentioned how Hummel had managed to build a decent amount of sales in Japan even while the company struggled abroad. As mentioned earlier the company mostly focuses on Futsal though (which has massive participation here as well) but they have at least had a new release recently. Though they are not as popular as others, the company seems to do just enough to have a spot in the market. Another boot that features a K leather forefoot with a synthetic heel, the Vorart tries to differentiate itself by the reset of the market by being a cheaper alternative to other brands. The boot also has suede lining and an insole that is lined in a synthetic type of suede. It also a big X in the middle of the soleplate to allow for more flexibility and there is a slight X shape on the bottom of the studs to allow for more grip, though it doesn’t seem significant enough to make a difference. New Balance is somewhat popular in Japan due to their range of lifestyle shoes. Their football boots are found in many stores (in my local shop has them and they don’t even carry Puma) but that are not very popular. One of the biggest complaints from players here are that the boots are too stiff, especially in the forefoot and the upper. Despite this, I have seen a couple of amateur players wearing them. The Furon and the Visaro are both available in Japan with a Japan-specific HG soleplate. The plate used on the Visaro is a decent size for hard ground and artificial pitches, but for some reason the Furon was equipped with massive HG studs. Not only are they taller than the studs found on the FG plate, they are also extremely broad, and they almost seem more suited to firm to soft ground rather than what the intended use was. 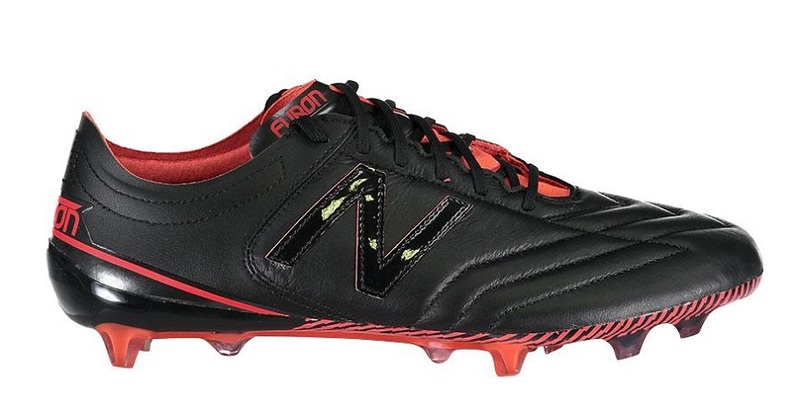 However, the players that I have seen wearing New Balance almost always wear the Furon. This could be because New Balance does offer their boots in a 2E width and it is rare to find speed boots that fit wide, which as can be seen from other boots in this article, Japanese players tend to have wider feet. UA is another brand that had developed boots specifically for the Japanese market. Recently though they have begun to take the same approach as other international companies that sell boots here. This being that they are making the same boots as they do elsewhere but the addition on an HG soleplate. Once again, I’m cheating because this boot has been discontinued by UA Japan. It went through three iterations before the plug was pulled and it was quite popular as even now I’ve seen a few pairs knocking about on pitches. It checked all the marks for a Japan-only boot; K leather forefoot, synthetic heel, suede liner, external heel cup and HG soleplate. It also had UA’s Charged Insole. At present, a few stores still seem to have some pairs and have jacked up the price on them accordingly. Now the eagle-eyed among you might recognize these boots. 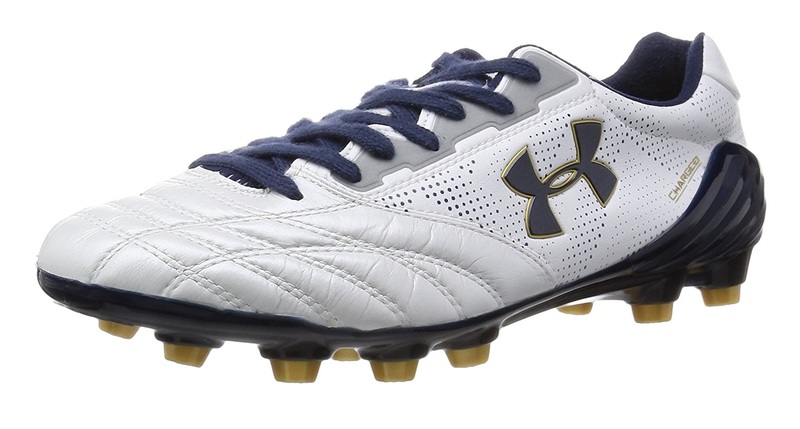 These were worn by Justin Morrow of Toronto FC while playing for the US during the 2017 Gold Cup, which I personally thought was random, but it was one of the boots I believe that UA should have released overseas as well. Long-time readers will know I have a massive soft spot for Adler, who manufactures all their football boots in Japan. We’ve called them the “Japanese Pantofola D’Oro” before and I’m still inclined to agree with this. All of the boots are hand-made in one factory. Recently, the company seems to be somewhat on a rebound, notably because they actually have a website again and seem to be offered in more stores. There are not many people wearing Adler, but similar to the Mizuno diehards (myself included) found outside of Japan, Adler has a strong following among some players. Full K leather upper with “brushed” suede lining. The outsole is stitched to upper to make the boot more durable and the stitching the upper is apparently done in a way to provide more stability and prevent over-stretching. Adler really pushes the idea that the boots are very durable and given my personal track record with their boots I’m inclined to believe them. What is weird though is that this boot is called lightweight by the brand and although 8.4 oz. isn’t particularly heavy, its certainly heavier than other boots on the market. Though given that this boot is more classically styled, it is easy to understand that the weight is not all that important. Add that the to the fact that the boot is quite cheaper than others (around $115) and that it is hand-made it is quite a bargain. The white/black colour is the only look available but it does look quite nice. The Nantes MS is a made from a synthetic leather upper and is slightly lighter than the Girona. It is also hand made and having personally tried them on, they feel quite nice given the sub $100 price point. It also has the “brushed” suede lining and the same stitching pattern. It is only available in an all-white colorway. One of several Japanese brands that is heavily inspired by Brazilian football culture (another being LUZeSOMBRA), and has even begun to make some inroads into Brazil itself. The brand originally only made apparel only but in March 2016 they introduced their football line. They company has made a little bit of impact in the market and has made things easier for themselves but keeping their footwear line small. This was the first boot released by Athleta and they have kept things simple. The features a fully K leather upper and that feels really soft and plush, an external heel cup and a TPU soleplate with round studs. The soleplate has two spines that reduce flexibility in the middle and while maintaining a more flexible forefoot. The boot originally released with a black/gold colorway and silver colorway. More recently, the brand has also released a white/gold color which looks excellent. 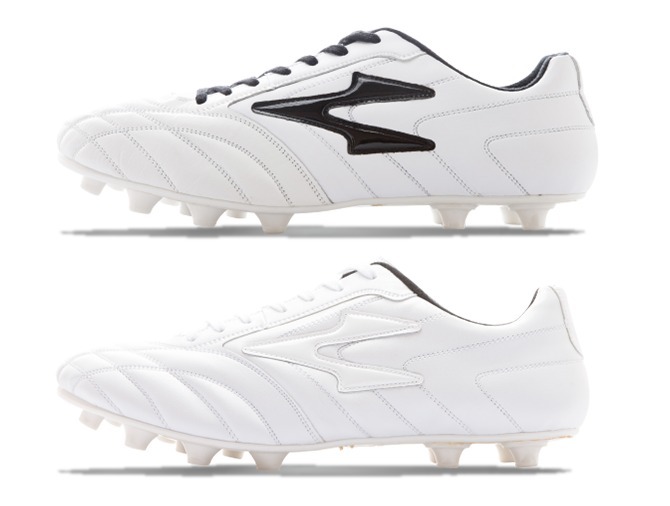 There is also a take-down model with a K leather forefoot and an even cheaper model with a synthetic upper. Both of the take down models receive color updates more frequently, with the top of the model keeping consistent with just the two colorways continually available. 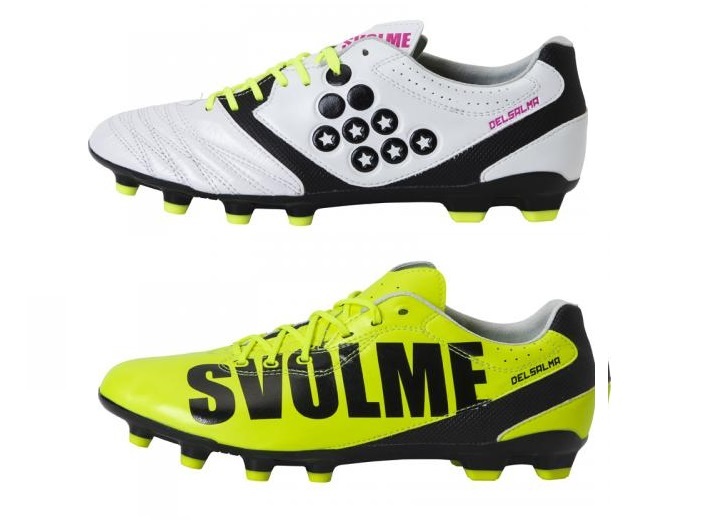 Originally Svolme only created futsal but has made boots for several years now. The brand still mostly focuses on futsal shoes rather than outdoor boots, with only one style being made that comes in two flavours: K leather and Synthetic. The brand mostly focuses on apparel, with many shops carrying the brand’s apparel but mostly only one style of their futsal shoes. Even so, the company has tried to stand out in the past by producing some ridiculous colour combos (Pink/Light Blue/Bright Yellow strike anyone’s fancy?). The K leather model of the DelSalma has…you guessed it, K leather forefoot, synthetic heel, suede liner. The DelSalma also has a “support gauge” to stop the foot from sliding side to side while playing. Other than that, the boot comes in a Black/Pink or a White/Pink/Bright Yellow colourway. As for the synthetic model, it actually features the same material for the upper that was featured on several models of the Mercurial Vapor, Teijin synthetic. Teijin is a Japanese company, so it is not too surprising to find their material used on Japanese brands’ boots. The material also apparently has some slight stretch to it but I have never played in them personally so I cannot confirm this fact. Black/Pink and Bright Yellow are the two color choices. As we can see from all the different boots offered on the Japanese market we can see a lot of similarities. Many boots have a K leather forefoot, synthetic heel, suede lining, and an HG soleplate. Many of these HG soleplates are designed to be used on artificial grass as well. Looking at these similarities we can get a feel for what is popular among players in Japan. Many players still stick to kangaroo leather for their boots and many of these boots are made to be more durable. In fact, almost every boot I have mentioned in this article has the upped riveted to the soleplate, which adds durability. 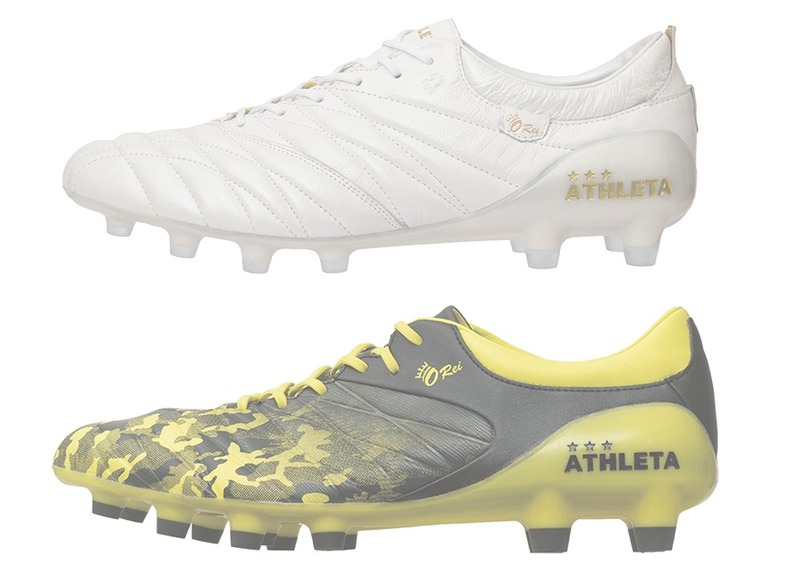 So, how can brands distinguish themselves when so many produce similar boots? A lot of times its similar to anywhere else, it comes down to price, preference and recommendations from other players. For many leather boot fans, the Japanese market is like some sort of paradise where every single brand brings their own K leather boot to market. From my point of view, I can easily recommend most of them. If you ever get the chance to visit Japan, it is highly recommended to pick a pair of Japan-only leather boots whilst you are here. HG soleplates have flourished in Japan since the most common type of playing surface is dirt (with a smattering of AG in some dense urban or affluent municipalities). Most soccer pitches where amateur league/interscholastic matches take place are located at middle/high school grounds. You can look at Google Maps satellite image and majority of fields with soccer pitch markings are brown. On that kind of surface, FG studs will break or one would feel uncomfortable stud pressure. As for upper, K leather is popular because of its durability against abrasive dirt, which by the way is not fine silt but typically like coarse beach sand. One would not think of knee-sliding to celebrate a goal on these surfaces where delicate synthetics won't stand a chance, lol. It's worth looking into Japanese HG soled boots if anyone is visiting Japan and your primary playing surface is predominantly hard and harsh. Unfortunately from what I heard, they dont carry big sizes ie; 10UK and above hence giant feet heroes wont get the chance to test them out. Would love if the author could clarify this end though !